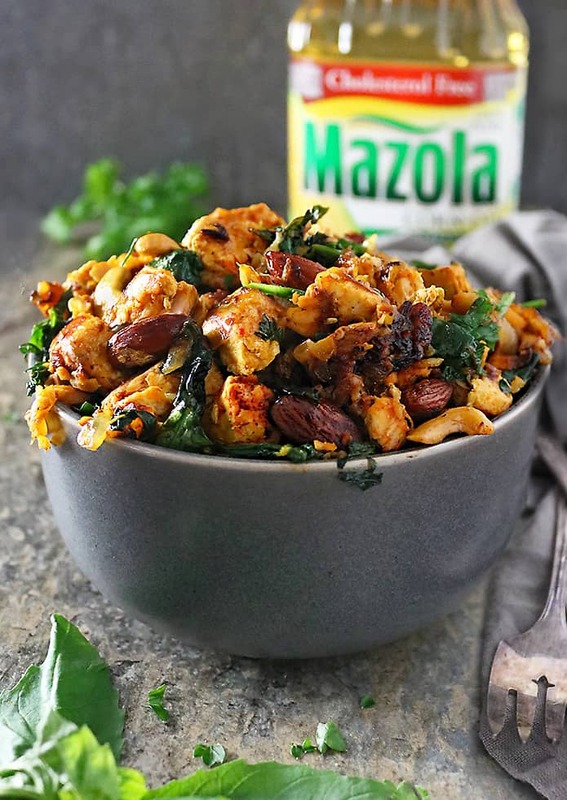 This easy, one-pot, Salmon Hash is a delicious saute of flaked salmon, spinach, onions, ginger, garlic, turmeric, smoked paprika, coriander, basil, cashews, almonds and Mazola®​ Corn Oil. When my daughter and I were in Portland earlier this summer, we dined on a delicious basil-laced, fried fish dish at a tiny Thai restaurant. This restaurant was so tiny that when I hung my elbows off the table, the people at the adjacent table would bump into them. But, the flavor in that fish dish was larger than life! So, of course, when I came back home, I had to try and come up with something similar. I ended up adapting that fried fish dish to be a tasty, yet better-for-me Salmon Hash. I chose to use salmon, and instead of frying it, I sauteed it in Mazola® Corn Oil. 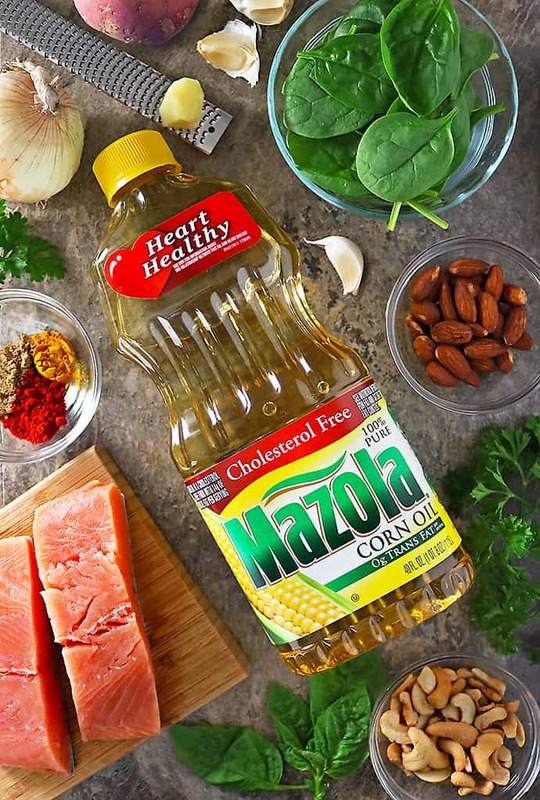 A clinical study showed Mazola® Corn Oil reduces cholesterol 2x more than extra virgin olive oil. To learn more about this claim, see Mazola.com. Growing up, I often heard my dad say “precious things come in little packages.” And, I like to think he was right. I mean, there’s myself at 5’2″ that’s proof!!! I kid! I kid! Seriously though, dining at that little Thai restaurant in Portland reminded me of what my dad would often echo. Just about every dish at that tiny Thai restaurant was huge in the flavor department! And the flavor combinations were mind blowing. For instance, the fried fish dish had a combo of herbs like basil, betel leaf, lime leaf, fish sauce and coriander! 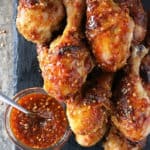 I tried looking around the interwebs for the exact recipe but wasn’t able to find it. Besides, even if I found it, I am not sure I would replicate it exactly as, other than the occasional fish cutlet/croquette, I don’t serve up fried fish all that often for dinner at home. Speaking of dinner, I have been gravitating towards using more Mazola Corn Oil (like I did in this Bean & Veggie Pasta Bake) as it is a smart heart-healthy choice for my little family. 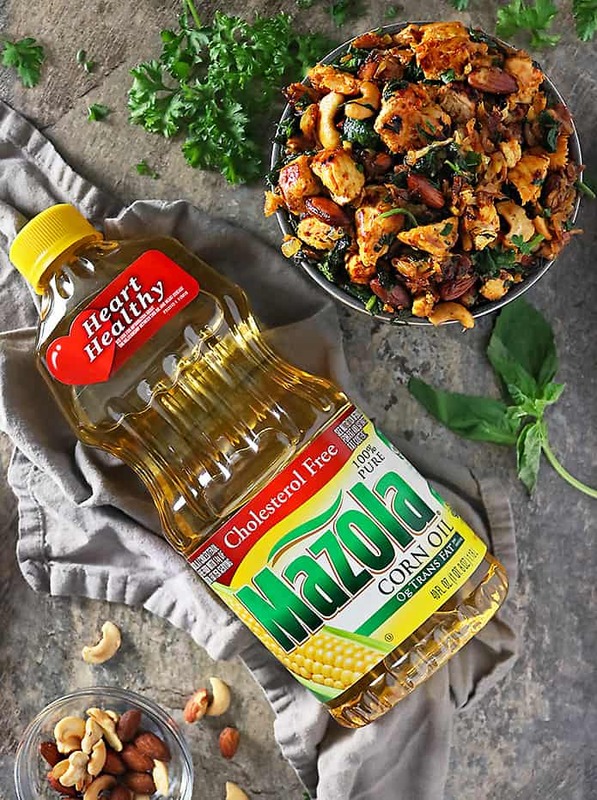 Mazola Corn Oil is an all-purpose cooking oil that has a neutral taste that lets the natural flavor of my food stand out. 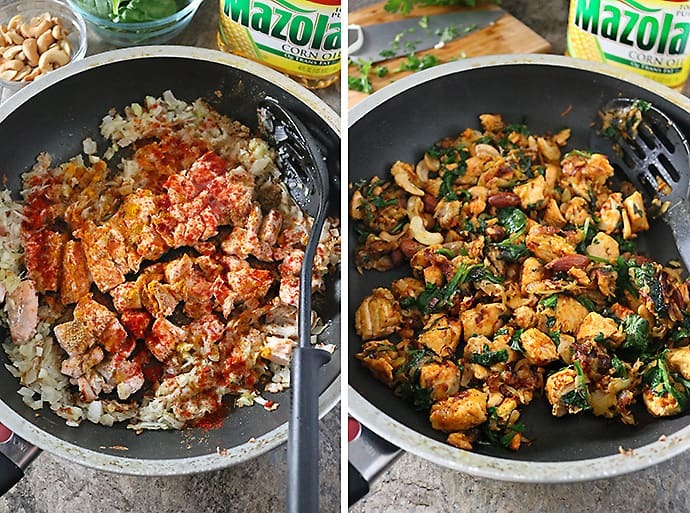 Mazola has a smoke point higher than most cooking oils at 450°F and performs well in a variety of cooking applications, including stir-frying, sautéing, grilling and even baking. It took me some time to realize that all cooking oils have a smoke point that, once exceeded, negatively affect the food’s flavor and nutritional value. 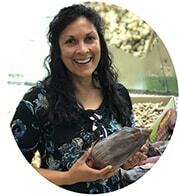 So, I am choosing to reduce saturated fats and cholesterol in my meals with simple swaps, such as substituting butter/vegetable oil with Mazola Corn Oil. The flavoring for this Salmon Hash that you see here, was inspired by that fried fish dish at that tiny Thai restaurant. I stuck with the combo of basil and coriander as some of the seasonings. But, I chose salmon instead of the tilapia that the restaurant used. The original fried fish dish was also served with peanuts and I chose to use a combination of heart-health-friendly almonds and cashews for added crunch. 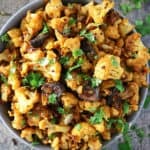 This makes for a delicious, one pot dinner or lunch that I’m hoping you will love as much as my daughter and I do. This easy, one-pot, Salmon Hash is a delicious saute of flaked salmon, spinach, onions, ginger, garlic, turmeric, smoked paprika, coriander, basil, cashews, almonds and Mazola Corn Oil. First off, dice the onion very finely. Also grate the small 1/2 inch piece of ginger, and dice the garlic too. Then, add the Mazola® Corn Oil into a pan over medium heat and add in the diced onions. Let onions saute about 10 minutes, stirring occasionally. Add in the garlic and ginger and saute about a minute. Remove the skin off the salmon fillets and add them into the pan with the onions/ginger/garlic. Also add in the coriander, smoked paprika, and turmeric and stir and let saute about 5 minutes on one side. Chop the basil leaves and parsley. Then, flip over the salmon fillets in the pan. Using a spatula/spoon, gently break up the salmon fillets. Sprinkle in the basil and parsley and let saute another 3 minutes. Add in the spinach, cashews and almonds and saute until spinach wilts. Salmon and nuts…my favourites in one bowl. Perfection! I’ve never had a salmon hash but I love salmon and hash so this sounds like the perfect recipe. 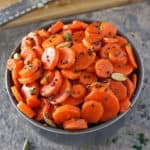 Can’t wait to try this flavorful dish! Loving all of the flavors and textures in this dish! And I loved that you used Mazola® Corn Oil to cook it all up! I can’t wait to make this for my family! Mazola Corn Oil just enhances flavors in the food. This one pot Salmon Hash looks like a crowd pleaser. wow we love salmon and I never thought to add nuts. This is a great spin on the ho hum normal salmon we have how tasty this is! I love a good hash and I love salmon, so obviously I have to try this dish. So creative! 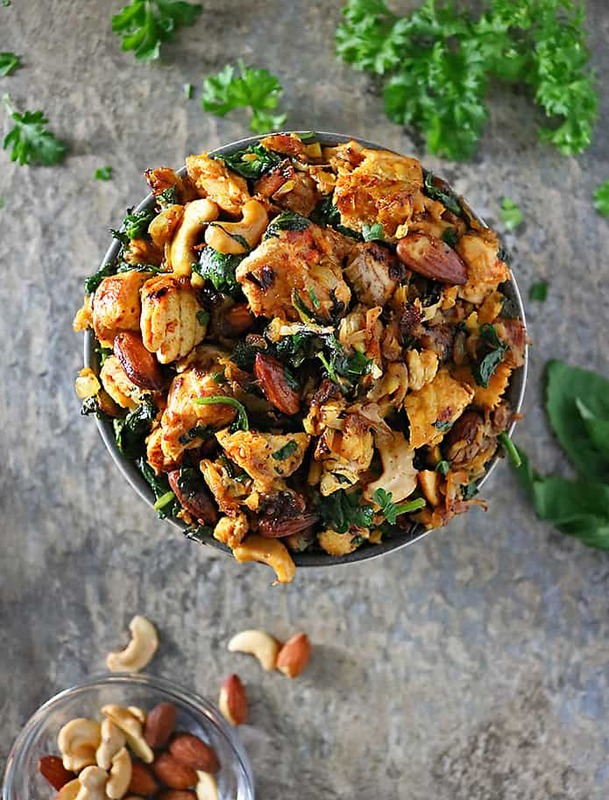 Love the spices and nuts you added to this. Sounds delicious! 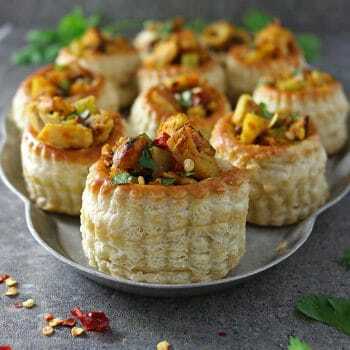 An interesting dish Shashi. We love our salmon here in Scandinavia and Thai is also favorite here. So, putting this together is brilliant. 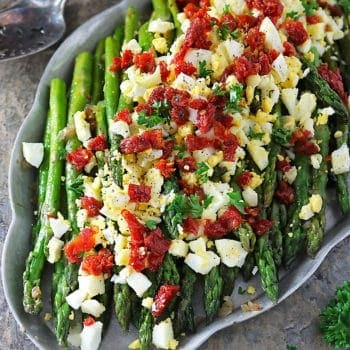 We’ll substitute the Spinach (not a favorite) with Arugula and give this a try. What a fun recipe! I love recreating meals based on our travels, too, and this salmon hash certainly sounds like a good one. I’m all about big flavor no matter the size of the package, so I definitely need to put this one on my list! 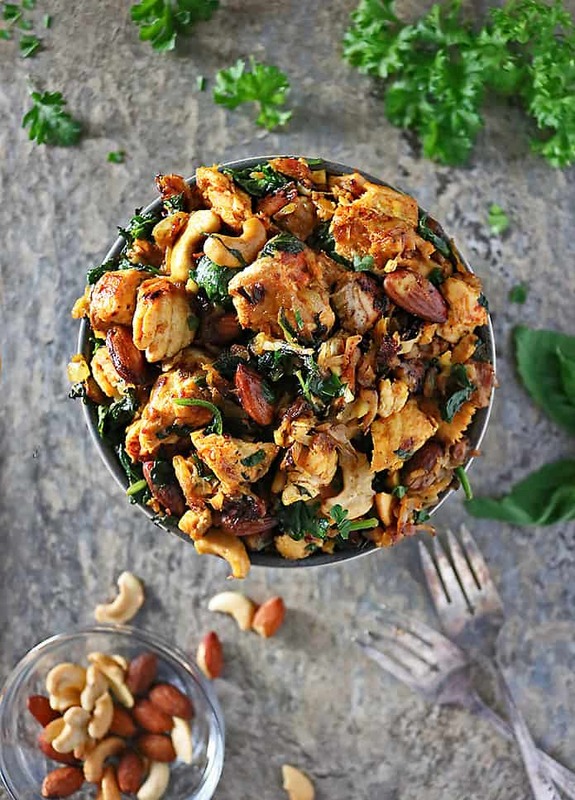 I never would have thought combining flaked salmon with cashews, almonds, spinach and potatoes…but it works. Looks delicious! 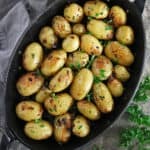 Where does the potato come in at? Oh yes this is definitely our kind of one pot dinner Shashi. I love it. And all of those herbs and spices coating those delicious salmon fillets. Yum! It’s little wonder you wanted to replicate this dish as soon as you got home from Portland!